At present, physical vapor deposition (PVD) is a very popular coating technique in some areas, such as the watch, jewelry, car, and so on. Why are these industries so fond of PVD coatings? Let’s see the advantages of PVD coating. First of all, we have to know what physical vapor deposition is. When it comes to this phrase, many people compare it to chemical vapor deposition (CVD) because the two phrases literally differ by only one word. However, the difference between them is actually great. As its name suggests, physical vapor deposition is primarily a physical process rather than a chemical process. This technique generally uses argon gas. 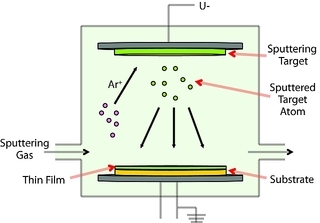 In a high vacuum, the argon ions are accelerated to bombard the sputtering target, and the target atoms are sputtered one by one to deposit a film on the surface of the substrate. There is no new substance produced during the reaction, so it is considered a physical process. (1) Gasification of the plating material: that is, the plating material is evaporated, dissimilar, or sputtered. (2) Migration of plating atoms, molecules or ions: a variety of reactions occurs after a collision of atoms, molecules or ions. (3) The plating atoms, molecules or ions are deposited on the substrate. 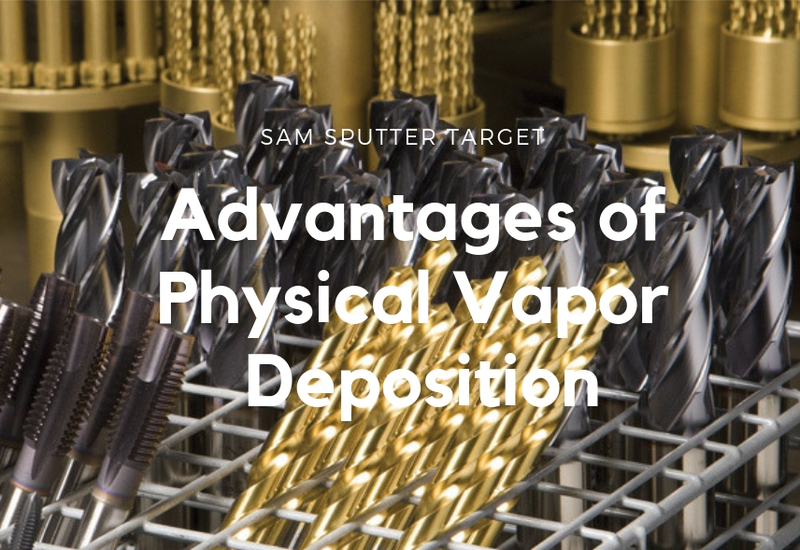 Physical vapor deposition has the following advantages over other material depositions. 1. Good Durability. Compared with other coating methods, for example, electroplating, PVD coatings are sometimes harder and more resistant to corrosion. 2. Wide Application. Nearly all types of inorganic and some organic coating materials can be used on many groups of substrates and surfaces using a wide variety of finishes. 3. Environmentally friendly. Since the process of PVD Coating happens in a vacuum environment, it is more environmentally friendly than other traditional coating techniques such as electroplating and painting. And the PVD process won’t produce poisonous gas such as CO or SO2. 4. Convenient cleaning: You can saves (reduces) the time and cost of cleaning and polishing general copper (gold) products, and a soft cloth or glass cleaner is sufficient to clean the PVD film. 5. High quality and multiple choices: The PVD film has a wide variety of colors, and the surface is fine and smooth, rich in metallic luster, and never fades. Common colors are golden yellow (TiN), bright silver (CrN), purple (TiAlN) and so on. It should be noted that these advantages of PVD are based on the use of high quality sputtering targets or evaporating materials. If the quality of raw materials is uneven, even with PVD coating, it is impossible to obtain high quality films. The physical vapor deposition technology is simple, environmentally friendly, non-polluting, less consumable, uniform and compact, and strong in binding to the substrate. So PVD coatings are widely used as the decorative coating, optical coating, protective coating, electrical coating, and so on.